Practical meets luxury at Monocle, where you'll find a tightly edited selection of the worlds best lifestyle products—well, the best according to the brands creator Tyler Brule anyway. Monocle started as a global affairs magazine in 2007 by Brule, a Financial Times columnist and world traveler. The magazine covered a range of topics including: world affairs, travel destinations, and haute lifestyle products. Naturally the magazine parleyed into a retail shop that sold those products, turning Monocle into a full-blown lifestyle brand. The concept for the shops is to source design products like luggage, coffee table books, and designer home fragrances. There's also a selection of everyday items such as umbrellas cashmere throws, and designer globes. Basically everything in here is beautifully crafted and functional, so you're sure to find something to covet. If you're a fan of the magazine you'll find popular back issues at the shops, as well as Brule's new book—The Monocle Guide To Better Living. Collaboration projects are always on offer at Monocle each season. The Monocle team joins forces with luxe retailers to create quality goods such as cashmere sleep masks from Parisian brand Flouzen​, silk ties from English brand Drake's, and fantastic hand luggage and weekenders from Porter. 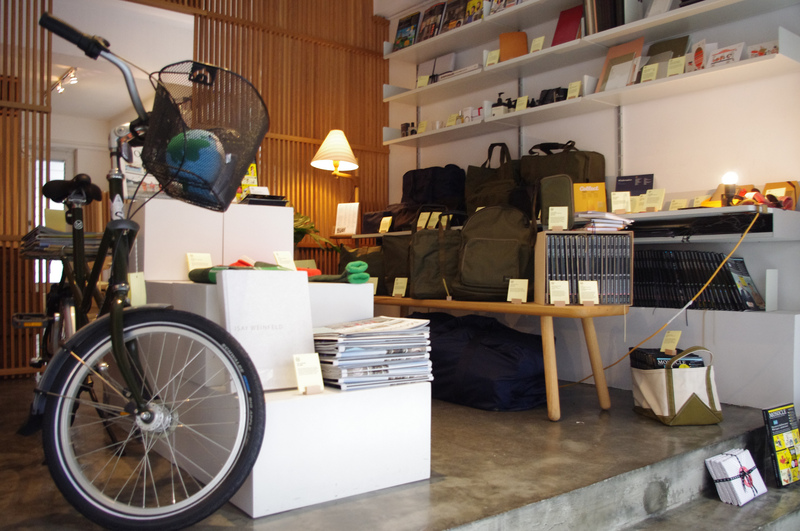 The Monocle shops are only located in major cities such as Tokyo, London, Hong Kong and New York, but they also sell their collaboration pieces on their website.